Million Point Drop Gameshow is based on the TV smash hit show, but with a difference, your guests play as teams – all at the same time! Questions are projected on to a large screen, each answer has its own drop box and plasma screen, making this an exciting visual game show. Combine this with atmospheric game show music and lighting and you’ve got all the ingredients for a great show! 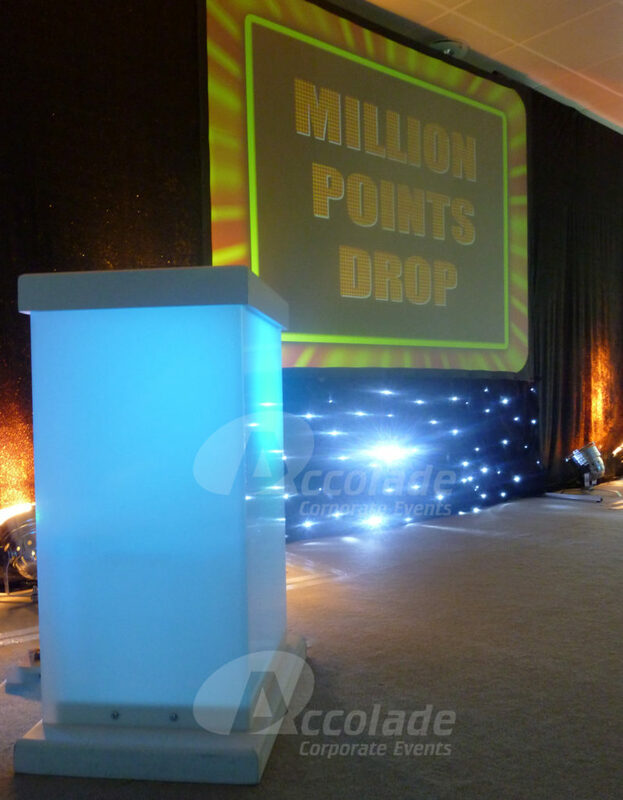 We have a fantastic professional compere for your Million Point Drop, who will guide your teams to becoming top scorers and we can even customise some of the questions to your company specifically. 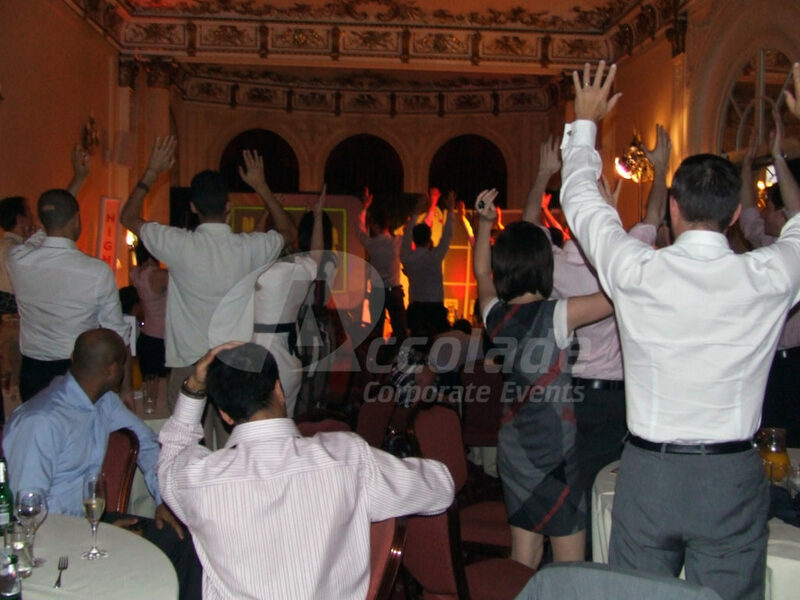 With the opportunity for full customisation for your company and the flexibility to take this show anywhere in the UK, this is a very effective and fun gameshow! This show is a great way of entertaining your guests in-between and after the courses of your meal. If you are not having dinner, it can be run as one complete show. 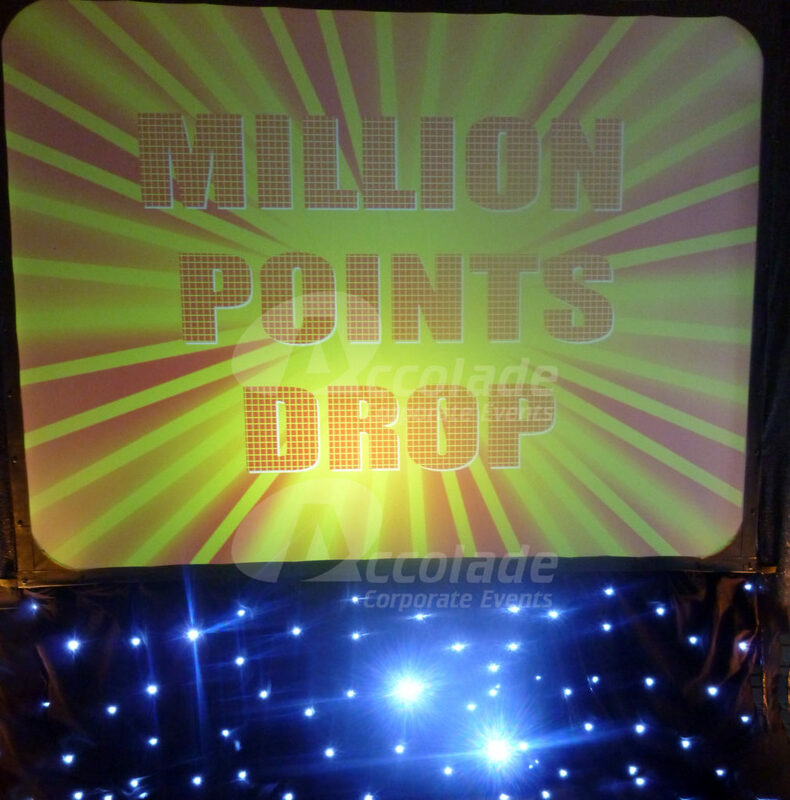 Would you like more information on our Million Point Drop Gameshow? 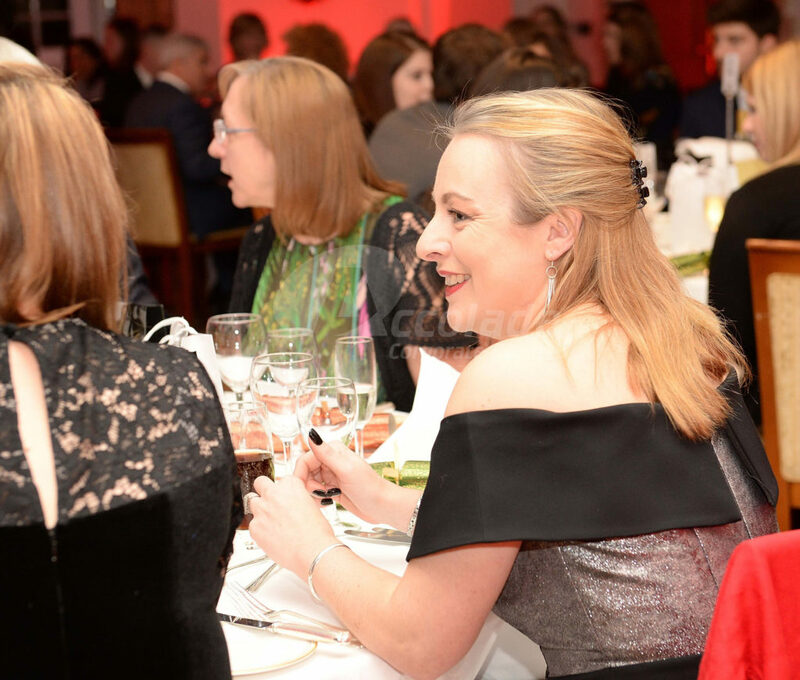 If you want to find out how we can help you incorporate this fun and team focused show into your next event then please just give us a call on 0800 083 1172 . We’ll be able to answer any questions you may have and then send to you a proposal that will include full details and costs. Want to see other options? We’re certain you’d love Team Millionaire!